Interviews are a key component of any successful corporate video campaign. You can interview your own customers for referrals or as a case study. You can interview industry experts to highlight the benefits of your company and position it better. You can also just interview your own employees to discuss specific features or key differentiators. Any of these will generate terrific content. The trick is sprucing up the standard, boring footage itself. One of the most difficult challenges of shooting an interview is that it’s a static shot. You’re focusing on a single person speaking directly to the camera. It often produces great content, but the footage isn’t especially exciting. That’s why sliders are great for interviews. By subtly moving the camera, you can add drama and pace to an interview. It draws viewers into the footage without being too distracting or gimmicky. Whenever possible, you want to position your subject right in the middle of the room. Windows or doors will let in light and distort your shots. Shooting right next to a wall or backdrop has problems, too. If they’re right up against them, they’ll cast shadows which will distract your audience. It also prevents you from being able to use selective focus, which is an important technique to make the subject pop in the footage. For best effect, you want to shoot as close as you can to the subject while keeping the background as far away as possible. You want to carefully control every aspect of the interview, and that includes the people you’re interviewing. Give them all the information you can beforehand to ensure that they’re adequately prepared and don’t encounter any surprises that leave them off their game. Provide them a checklist that explains how they should dress, what they’ll expect, and the type of information you’ll be discussing. Finally, make sure to include contact information should they have any questions or concerns. The more you communicate with them prior to the interview, the smoother everything goes the day of your shoot. The editing process for interview footage is slightly different than other shots. You often need to find a natural cutting point which simply doesn’t exist. When you have footage shot in 4K, this isn’t a problem since you can easily zoom in to create a natural cutting point, or even create a high-quality still shot. 4K is usually a bit too much for most video shoots, but the flexibility it offers you in the editing process makes it quite valuable for interviews. It’s simple but easy to overlook that the star of an interview video is the interviewee. If they’re not charismatic or a strong speaker, the footage will simply not be very compelling. Don’t interview anybody and everybody that volunteers. Pick up the phone and have a brief chat with any customers or industry experts that you’re thinking about interviewing. If it’s an internal employee, feel free to briefly shoot them during a casual conversation. You might end up hurting somebody’s feelings, but a strong video is the only thing you need to worry about. Using two cameras should be your standard for shooting interviews. If you only have one angle, you won’t have any options for cutting shots with new vantage points, making for a less engaging result. If you have the opportunity, using a third camera will provide even more opportunity. Ideally, your third camera will be for taking risks that you wouldn’t have the luxury of trying with only two cameras. You should either have it shoulder mounted or moved regularly in order to grab plenty of different angles and shots. The result will be a much more engaging and exciting video post-editing. It’s hard to dive right into an interview. 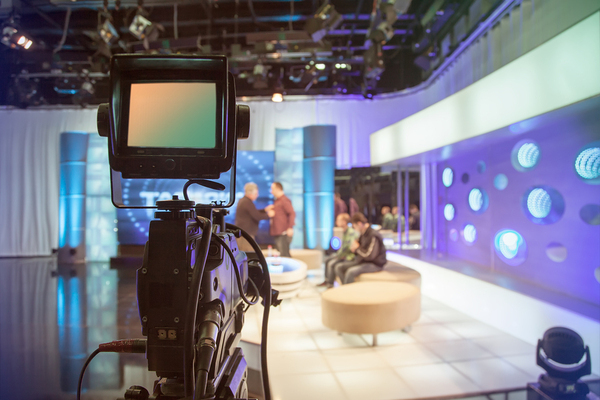 People without much experience on-camera will be intimidated and nervous at first. Even an experienced interviewee will need time to build a rapport with the interviewer. When you first start shooting, take it slow. Ask filler questions that are unlikely to produce usable footage, saving your best content for last. This way you’re not hitting the important stuff until the interviewee is relaxed and in the zone. Cameras and other video equipment tend to be more glamorous, but nothing is more important in interviews than sound quality. No matter what your budget is, you need to make sure you use either boom or lavalier microphones. Have a crew member dedicated to monitoring audio quality throughout the shoot. Avoiding echoes, distancing, or other audio problems instantly improves the overall quality of your interview. Even an experienced interviewee conducts himself slightly differently when they believe the cameras are rolling. Once you officially end the interview, make sure that the cameras don’t stop rolling. You’ll usually get great sound clips and footage from these moments since the interviewee will be completely relaxed and at their most natural. Just make sure that you have permission to use all footage, and not just the interview portion. Don’t turn the cameras off until everybody has left the set or you might miss out on some great footage. By following the tips and strategies outlined above, you’ll have no problem shooting terrific interview footage. Without the right crew, however, it’s a whole other story. If you need help finding the perfect crew for your next video shoot, whether it’s an interview or not, make sure to reach out to us here at Crews Control. Get started today by clicking here for a free quote..
I’ve filmed a lot of interviews over the years and I don’t agree that using movement is more exciting, I find movement in an interview annoying. I just want to hear what that person has to say. I also don’t want annoying cutaways of their hands or an extreme close up of their eyes. It is the person and what they have to say that is the interesting part. If you only have one camera you need to decide if you want the answers to your questions and the questions being asked or if you just want the answers. If the latter then you need to get the interviewee to start their answers with the question. eg if you ask “How long have you been with this company?” you don’t want an answer of “10 years”. You’ll need them to say “I’ve been with this company for 10 years”. I agree wholeheartedly that sound is usually the poor relation. It is best if lapel microphones are used or a boom mic over each speaker. Great article. However, as someone who’s been shooting in 1080p and delivering in 720p for many years now, I can safely say that this format usually gives you enough options for reframing in and out in post- as well as the option of slow zooms in and out of appropriate. A crash zoom partway in or out at the start of a shot is another useful tool for added dynamics. One important thing about shooting with a third camera – make sure it is shooting on the same side of “the Line” as both the other two cameras otherwise the talent’s face is looking in the wrong direction and it wont match all the other footage. If in doubt, always ask the DOP. Nice article Brittany. I sometimes will use a Go Pro as a discreet, cost effective and easy to move around 3rd camera. The extreme wide shot gives a completely different perspective and displays the complete context of the interview set with lighting and all the normally behind the scenes elements which can be appropriate for many situations.